Formed in August 2013, Gridiron is the UK’s premier American football magazine. It runs monthly from August to May, covering each season until just before the draft, and is available in both print and digital formats. There have been 30 issues in our four years of operation as we endeavour to continually engage UK NFL fans, as well as our latest product: The Gridiron Annual Bookazine With Neil Reynolds. 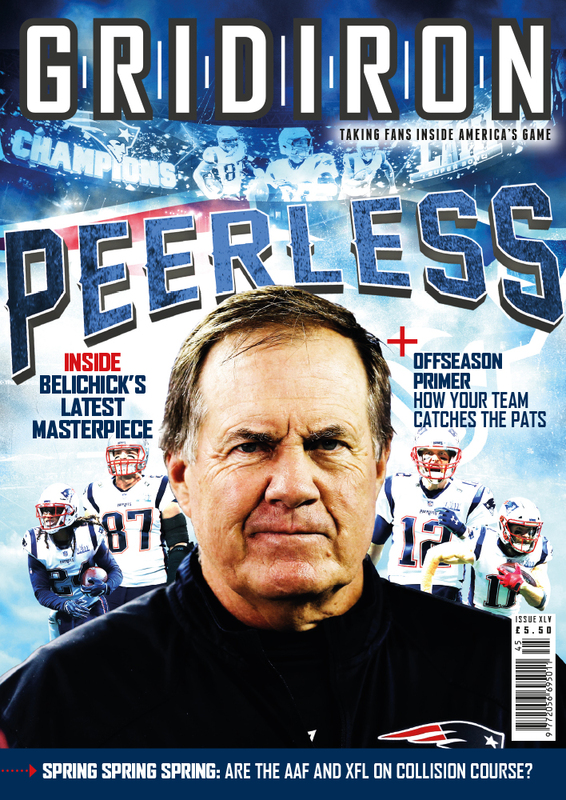 Gridiron features exclusive interviews with the NFL’s biggest names – we’ve interviewed the likes of Adrian Peterson, Calvin Johnson, Odell Beckham Jr. and Rob Gronkowski among others – and exclusive insight from the biggest analysts on these shores. As well as the outstanding regular writers on the Gridiron team, we feature monthly comment from Jeff Reinebold, Reynolds and Mike Carlson. Put simply, Gridiron is a one-stop shop for all UK football fans.